You can’t always know exactly what you’ll get when you sign up with a particular web host. Some inexpensive shared hosts are excellent while some expensive dedicated hosts are terrible. Many consumers shoot for the middle of the curve by opting for a Virtual Private Server. We recently talked about the excellent Astral Internet VPS, but of the many VPS companies in existence, MyHosting is another one of the more reputable ones. MyHosting’s VPS plans provide a bevy of features at attractive price points. If you’re in the market for a VPS, they’re definitely worth a look. MyHosting offers four kinds of VPS packages to choose from: Custom, Developer, Business and Reseller. Any of these plans offer buyers a choice between Linux-based and Windows-based servers. A Linux Plesk VPS for Business comes with 1GB of RAM, 40GB of storage space, 600GB of bandwidth, a dedicated IP address and root access. A Windows Business VPS running within a Hyper-V environment provides users with 2 virtual processors and much the same specs as the Linux Business VPS package. A MyHosting VPS installation can be customized as you see fit by tacking on additional software as your requirements may dictate. All plans allow for easy one-click installation of CMS platforms like WordPress, Joomla and Drupal, which makes the web development process hassle-free and fast. Another nice perk is the inclusion of the GoMobi mobile website builder. LAMP and WAMP stack components such as PHP, Perl and Python as well as Java and Ruby can be installed in seconds. As you might expect, all plans also come with free credits for PPC advertising and SSL certificates. In terms of responsiveness, MyHosting delivers above-average performance thanks in large part to their topnotch datacenters, which are powered by Equinix and Earthlink. MyHosting’s VPS instances run atop the latest Dell PowerEdge servers and are augmented by cutting-edge technologies like Cisco NetApp. As a result, their Virtual Private Servers boast an average response time of 316 milliseconds. Furthermore, MyHosting’s overly cautious approach to hardware RAID configuration allows the company to promise its customers 100% uptime, a guarantee that few hosts are willing make. Yet another area in which MyHosting excels is the customer service department. While they boast a support ticket system for resolving technical issues like most of their competitors, they do their customers one better by offering free 24/7 phone support with 2-minute response times and email support with 1-hour response times. Based on feedback regarding MyHosting’s customer support, it’s safe to say that the company takes its commitment to going the extra mile seriously. Even if you’re technically proficient when it comes to server administration, it’s nice to have a safety net. One of the biggest advantages of choosing MyHosting as your VPS provider is the fact that they don’t lock you into inflexible price brackets. If you’re really picky about what you want out of your server, the Custom option allows you to tailor your installation precisely starting at a price of $15.85 per month for Linux or $34.95 for Windows. Otherwise, a Business VPS starting at $18.95 for Linux and $45.95 for Windows will be powerful enough for most and provide tremendous value for the money. Receive 3 months free for annual VPS signup, 4 months free for 2 year VPS signup or 6 months free for 3 year VPS signup with this MyHosting promo code. 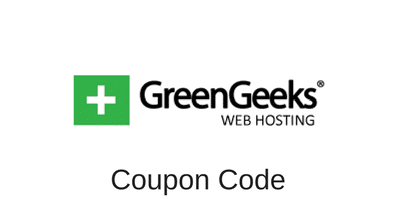 Receive an additional 20% discount on any VPS order that you place on MyHosting.com. When all is said and done, MyHosting’s VPS options are a great fit for the vast majority of SMB and personal blog sites out there. Even fairly busy e-commerce shops would be well served by their robust servers. Though some of the more cut-rate VPS providers on the web appear to beat MyHosting on price, very few can compete with them when it comes to value. Thanks to a sterling reputation for customer service and unparalleled uptime, MyHosting is one of the best VPS providers currently available. This entry was posted in Web Hosting Reviews on January 20, 2014 by WHR.